The Master's programme in integrated Environmental Sciences (ES) is designed for undergraduates in environmental, life and geo-sciences who intend to specialise in different fields of environmental assessment, monitoring and management issues. Based on sound methodological skills and systems analysis, the students will be trained for jobs in public authorities, private agencies, relevant sections in related industries, insurance companies and others. In addition, the Master's degree entitles the graduates to follow a scientific career in universities and research institutions. The study programme includes both compulsory and optional courses, so that the enrolled student can develop individual fields of competence and qualification. A variety of teaching methods, including lectures, seminars or laboratory work are offered. The Master's programme is completed with a thesis, to be written in the selected field of specialisation. The Master's degree will be awarded based on the credit points acquired during the two-year-programme and the results of the Master's thesis. The successful graduate from this programme will be qualified to begin national or international PhD programmes. Oral and written exams, practical exams, reports and talks for every semester. At the end of the programme the Master's thesis is to be written. The Master's programme in integrated Environmental Sciences (ES) is designed for undergraduates in environmental, life and geo-sciences who intend to specialise in different fields of environmental assessment, monitoring and management issues. Based on advanced methodological skills and systems analysis, students will be trained for jobs in public authorities, private agencies, relevant sections in related industries, insurance companies and others. Within their specialisation students have the opportunity to develop individually modulated fields of competence and qualification. The successful alumni will be qualified to begin national or international PhD programmes. The Master's degree entitles them to follow a scientific career in universities and research institutions. The University of Trier does not charge tuition fees. Students only have to pay a social fee ("Semesterbeitrag") of 237,80 EUR for the first and 227,80 EUR from the second to the fourth semester. The fee includes a semester ticket covering public transport in Trier and the region of Trier plus a contribution that benefits Trier Student Services (Studierendenwerk Trier) and the Students' Union, and enables students to buy meals at reduced prices at the university's student restaurants. Students should expect expenses of approx. 650-700 EUR per month. For instance, housing costs vary between approx. 200 EUR (basic dorm room) and 350 EUR (single apartment) and a meal in the student cafeteria costs approx. 2.25-5 EUR. Trier University provides career services in cooperation with the German Federal Employment Agency (Bundesagentur für Arbeit): www.career-service.uni-trier.de. Located on campus, the career service called Jobpassage is designed to support students and graduates in all career-related matters such as internships, full- and part-time jobs and their future career opportunities. Not only does the Jobpassage offer help with finding work opportunities but they also offer career-related practical training such as workshops on resume building. They also cooperate closely with companies who seek to recruit students and graduates from Trier University. Students having successfully completed three semesters of the programme may apply for a university scholarship, supporting them during the final part of their studies. Recipients receive approx. 350 EUR per month. Further information can be obtained at the International Office. Please click here for the application documents and further admission information. The International Office at Trier University (Akademisches Auslandsamt) offers a three-and-a-half week orientation programme before the start of the semester. It has four key components: German instruction on four different levels, completing important administrative formalities, various information events as well as a supplementary social and cultural programme. Throughout their studies, comprehensive support for international students is given by the International Office (Akademisches Auslandsamt). The IO provides information on administrative and practical issues as well as individual counselling. Practical language tuition during the whole semester is offered free of charge by the Department of German as a Foreign Language. In cooperation with the student union's International Centre (Internationales Zentrum), we offer a broad range of social and cultural activities, such as day trips, language exchange programmes or a host family programme. Accommodation is available in student halls of residence through the Students Services Office (Studierendenwerk Trier: www.studiwerk.de) or on the private market (e.g. www.hunderttausend.de). Housing costs vary between approx. 200 EUR (basic dorm room) and 350 EUR (single apartment). The University of Trier was founded in 1473 and reopened in 1970 as a modern campus university. Built on a high plateau overlooking the Moselle River and surrounded by luscious green nature, it is said to be one of Germany's most beautiful campuses. Faculty and departmental buildings are grouped around the Forum and the Central Library, to which they are connected by bridges. 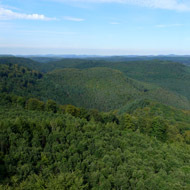 The University of Trier has a strong focus on the humanities, social sciences and economics, but is steadily strengthening its environmental sciences programmes. There are six faculties which together cover more than thirty subject areas. Many research projects are interdisciplinary in nature and embedded in global networks. With its roughly 1,000 employees and 15,000 students (including more than 10% international students), the University of Trier embraces contrast: young, yet true to tradition; internationally oriented and regionally rooted; on the geographic edge of Germany, but in the heart of Europe. Trier is situated in the western part of the federal state Rhineland-Palatinate in the Moselle valley. The city is proud of its rich history, which is reflected in its museums and its many historical sites. Thanks to its landmark, the Porta Nigra, the Trier Cathedral and other significant architectural monuments, Germany's oldest city has been declared a UNESCO World Cultural Heritage site. Today's cityscape is a fusion of history and modern lifestyle, not least characterised by a vibrant student life. With bars and cafés and a colourful range of cultural offerings and festivals, Trier is a tourist attraction with international appeal and a beautiful place to live for the city's 100,000 residents. The economy of the city is characterised by a few major enterprises and many medium-sized businesses. 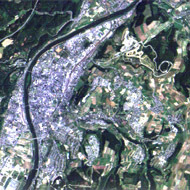 Its proximity to Luxembourg, an important financial centre and the site of several EU institutions, as well as to France and Belgium put Trier in the heart of Europe. Nine twin towns and cities across Europe, Asia and the USA attest to Trier's international orientation.